There’s nothing like having a parade to send you off on your journey in style. Okay, so maybe the parade wasn’t exactly on my account. 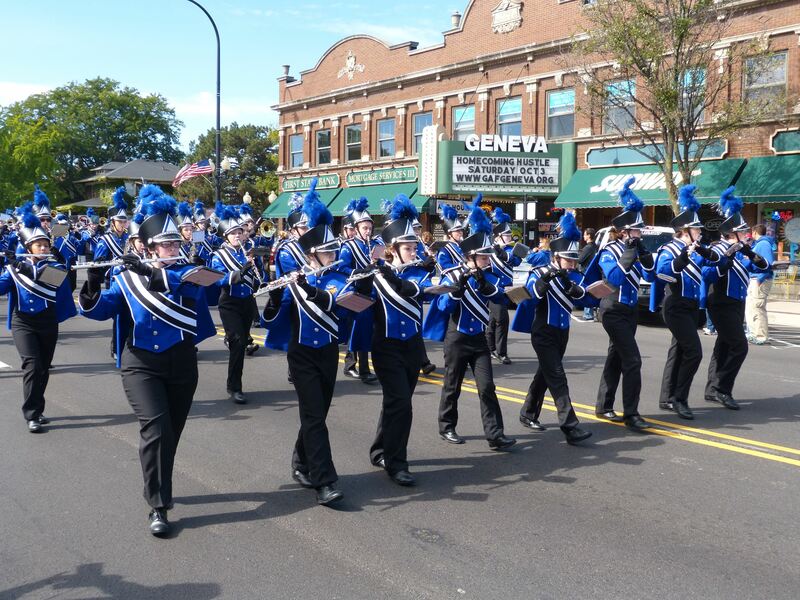 Truthfully, it was the local high school’s homecoming parade. However, they were marching right by my house…so I claimed them as the official prelude to my upcoming vacation. By mid-August, I had graduated from school, the SRP had come to an end, and the vacation planning began in earnest. Naively believing that a month was more than enough time to plan a two-week trip, it all came down to the final few hours before departure before everything was settled. The packing was simple enough, the plane tickets were ordered, and the Airbnb housing was set. However, a number of things to take care of before I could flee the country. Tim and I weren’t due to fly out until 11:40 pm, so I had much of the day to chop away at my to-do list. I got up bright and early to run errands in the morning. 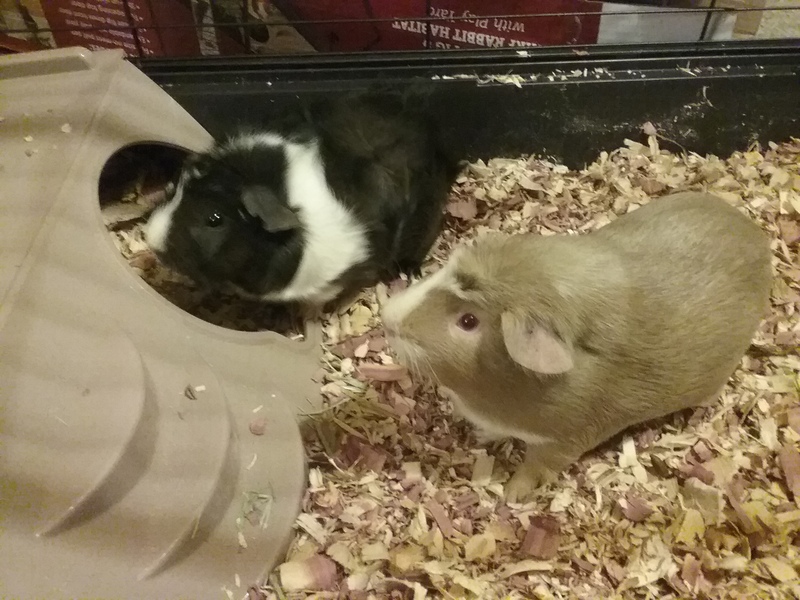 At lunchtime, my dad came by to pick up my two guinea pigs, Click and Scarlet. It was a nice afternoon, so before we packed away my little furballs for their separate trip, my dad and I decided to stroll downtown Geneva and have lunch at the Geneva Diner. As we were walking back to my apartment, we noted the large number of high school students roaming around town. It was only around 1 pm, and we couldn’t figure out why the kids would be out of school so early. It was when we saw people setting up chairs and sitting along both sides of State Street (the main drag in Geneva) that the penny finally dropped. It was the start of homecoming weekend. By the time I had my own homecoming (of sorts), the marching band was in position in front of my apartment along with representatives of other clubs and activities. I wanted to thank them for such a thoughtful send-off to me, but that’s when the guinea pig drama began. I live on the top floor of an old house that can only be accessed via a steep, narrow flight of stairs. It was not ideal for hauling down a full guinea pig cage as we soon learned. At the very top of the stairs, just as we began to tip forward, the bottom fell out of the cage. As the stairs got a thorough coating of cedar wood chips, Scarlet went flying down to the bottom. We thought that she would be severely hurt by the tumble, but she turned out to be fine, I think mainly because she has the resiliency of furry Jell-O (try picking up a guinea pig against their will and you’ll understand). Click managed to stay in the cage bottom, but seeing her opportunity in the midst of the confusion, she hopped out and made a break for the inside of my apartment. We eventually managed to round up the girls and safely stored them in my dad’s car as the parade marched on. My next big project of the day (and completely unrelated to the vacation) was to film myself doing a monologue. Unfortunately, auditions for my theater group’s next play were going to be held while I was away. My only option was to email a recording of my audition for the director. I thought this would be an easy matter. I propped up my phone to record and even placed cue cards to ensure that I could make it through the monologue without messing up too badly. That didn’t work out very well, as I took take, after take, after take. Despite my best efforts, the final product was nothing spectacular, but I was running out of time, so I sent it off to the director and hoped that she would rely more on my past performances than my present efforts. Meanwhile, in another part of the Midwest, Tim was having trouble getting out of St. Louis because of his workload, then his fight with the traffic all the way up central Illinois and into the Chicago suburbs. It was after 8 pm when he finally arrived in Geneva. Our Uber driver arrived almost at the same time. The driver’s name was Laurie, and she provided us with a stream of pleasant conversation all the way to O’Hare. We arrived at the airport and checked in with plenty of time to spare; actually, more than anticipated because our flight was delayed. However, this was not our first setback of the trip. The first came at luggage check-in when we discovered that while we would be having an extended layover in Iceland, our checked-in luggage would not. This meant several days without clean clothes, toiletries, medicine, and worst of all (for me), my CPAP machine. We were going to be roughing it. I saw a familiar face at the drop-off point. My coworker Amy and her husband were sending their daughter off to Iceland on the same flight Tim and I were on. We said our hellos and goodbyes, then got in line for the security check. I was somewhat worried about this. 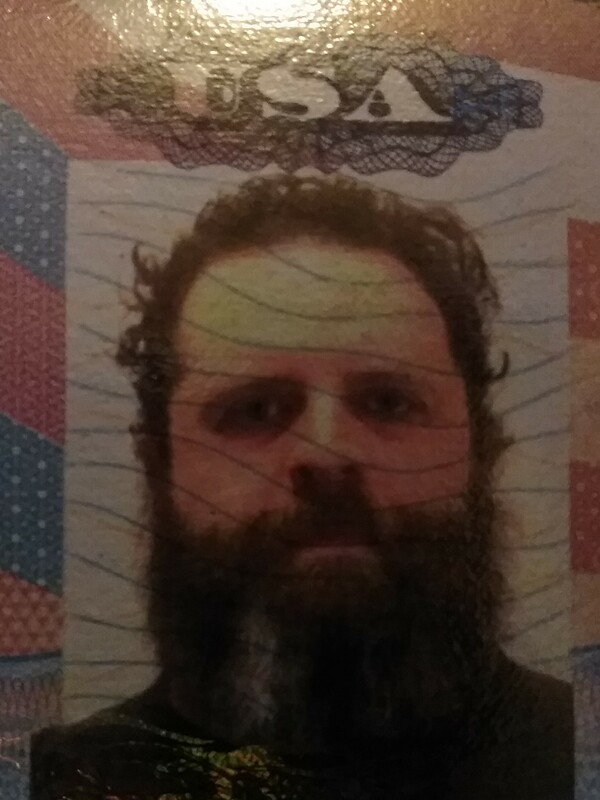 At the time that I had taken my passport photo, I was curly-haired, heavily bearded, without glasses, or a smile. I pretty much looked like a terrorist. 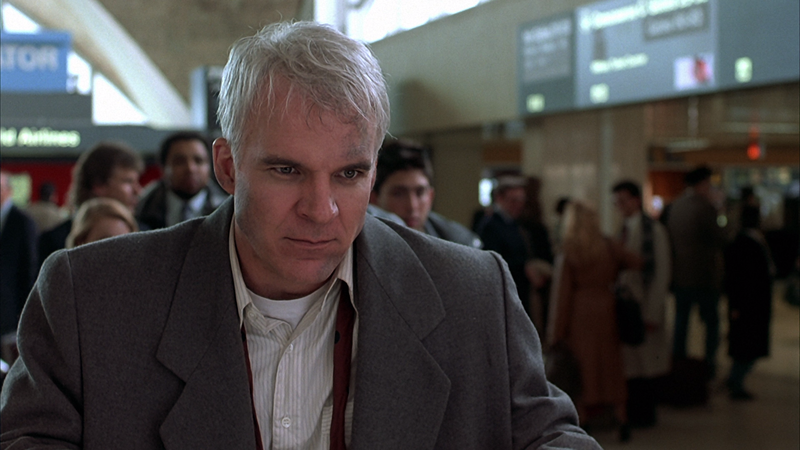 My worries turned out to be unfounded as I passed through security without a hitch. We were scheduled to fly on WOW Air, an Iceland-based airline. I was told a number of times by friends that flying WOW economy would not be a comfortable trip. It wasn’t too long into the flight when I came to full agreement with them. My back and legs hurt almost from the start, making it hard to rest, or to move for that matter. Five hours later, and I was ready to get out to stretch my legs, regardless of whether the plane was still in the air or not!